Top 5 Tuesdays is an article series that focuses on my “top five” anything on a given subject of my choosing that pertains to either gaming, anime, or manga. RWBY is the original work of Monty Oum, the creator of such incredible videos like “Dead Fantasy: Dead or Alive vs Final Fantasy” and “Haloid: Master Chief vs Samus Aran“. Honestly, he has some of the best fight choreography that I have ever seen and all of his creations are works that I find to be well done. Monty Oum passed away not too long ago, leaving far too soon with the brilliance of his latest series left unfinished. I have no idea if RWBY will continue, but I did enjoy what we have seen if indeed RWBY: Volume 2 is the last we will see of Team Ruby and Team Juniper. This Top 5 Tuesday’s post is going to be focusing on which characters that are my favorite from his latest series and why I loved them so much. You can catch the list after the jump. Also, feel free to leave a comment telling me who are your favorites and why! I would love to hear. This guy seems to be the main villain within the series, at least the one with the most presence. Torchwick seems pretty dastardly and conniving, but at the same time slick and a bit suave. I cannot help but to like his demeanor and the way in which he talks. As far as aesthetic goes, I really like his character design. Something else I really like about Torchwick is the fact that they made him a smooth talker, but not necessarily a pushover. At one point in the series he does lose to Team RWBY while in a giant robot, but he was actually able to hold his own in fighting toe-to-toe with Blake Belladonna, as well as Sun Wukong. 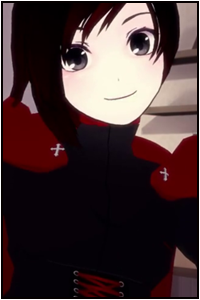 The first trailer we ever seen for RWBY was the “Red Trailer” featuring Ruby Rose. I was smitten with this character because she looked like a play on Little Red Riding Hood, only she wielded a fancy looking gun-scythe. Though, I really hated the character when it was time for the actual show, mainly because of her happy-go-lucky personality when I thought she would be a bit more dark and brooding. Overtime however, she has grown into one of my favorite characters because of her antics and attitude. I cannot help but to think she’s the cutest character in the entire series and someone who makes a really go protagonist. While she may take a while to initially like, once you do you will be rooting for her. This is Ruby’s older sister, but she also has a different last name, hair color, and eye color, so I am guessing they are half-sisters. Of all the fighters in RWBY, she has my favorite fighting style amongst everyone we have seen thus far. She fights hand-to-hand primarily, and she also the ability to drastically power up the more damage she takes, something I am guessing is similar to a Saiyan’s “Zenkai” ability from Dragon Ball Z. 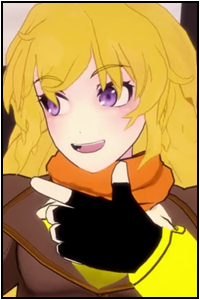 The personality of Yang initially made me love her from the “Yellow Trailer” (I was there when it first debuted at A-Kon). She is happy-go-lucky, just like her sister, but it feels like she is a more mature version of that personality-type. 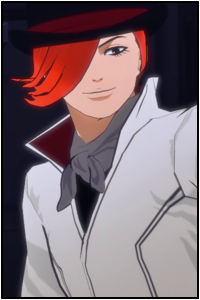 Overall, I think when push comes to shove, she is the strongest fighter in Team RWBY; her ability to gain tremendous combat power is certainly their trump card right now. 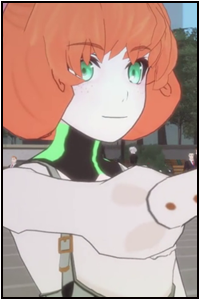 Penny did not have many parts in RWBY, she only appeared a couple of times after all. However, her quaint personality is something that I really enjoyed along with the “interesting” characteristics about this character. My favorite line she has is, “Don’t worry Ruby! I’m combat ready!”. 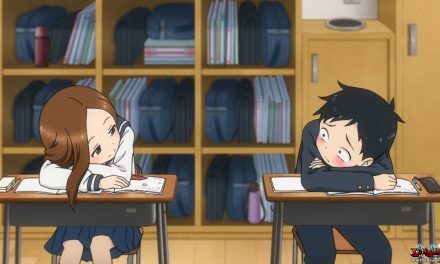 I can relate to this character in the fact she is weary of people because of who she is, and on top of the fact that she does long for acceptance regardless of that. She is really friendship oriented and is generally lovable character because of her innocence and benevolence. 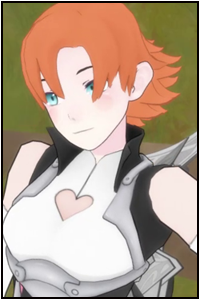 Nora Valkyrie is my favorite person within the RWBY series. She is everything I really like in a female character, and one of my favorite types of characters overall. She’s incredibly cute on the eyes.